Before the weekend I got reports of two fields where defoliation was over threshold and worms were big. 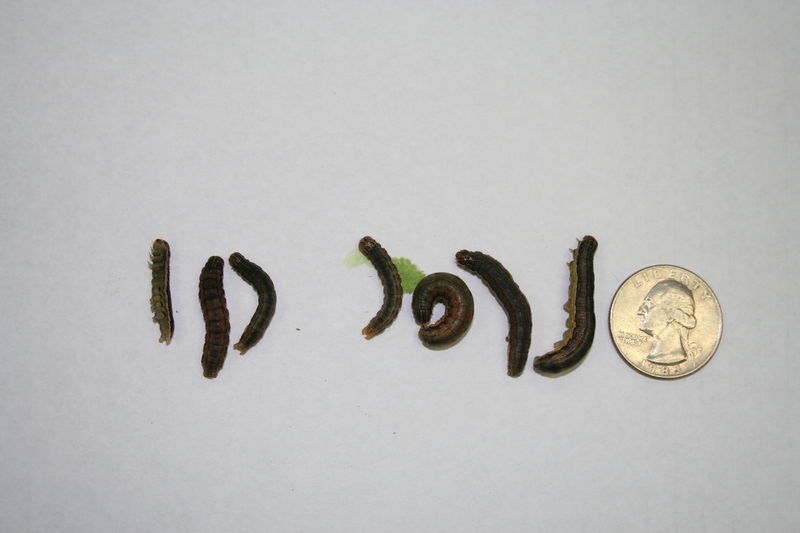 As predicted, we are now seeing armyworms at fifth and sixth instar. These are the worms that will cause noticeable defoliation. The timing of infestation is similar to last year's. I scouted a field in Colusa on Friday. 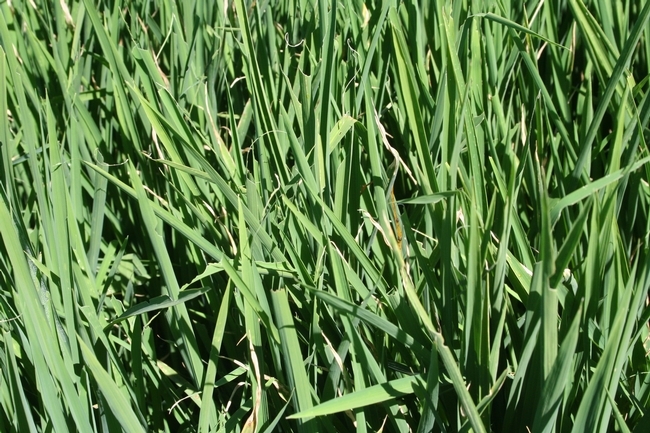 Defoliation was limited to corners, and even though it was over threshold at some spots, the field was not at risk. 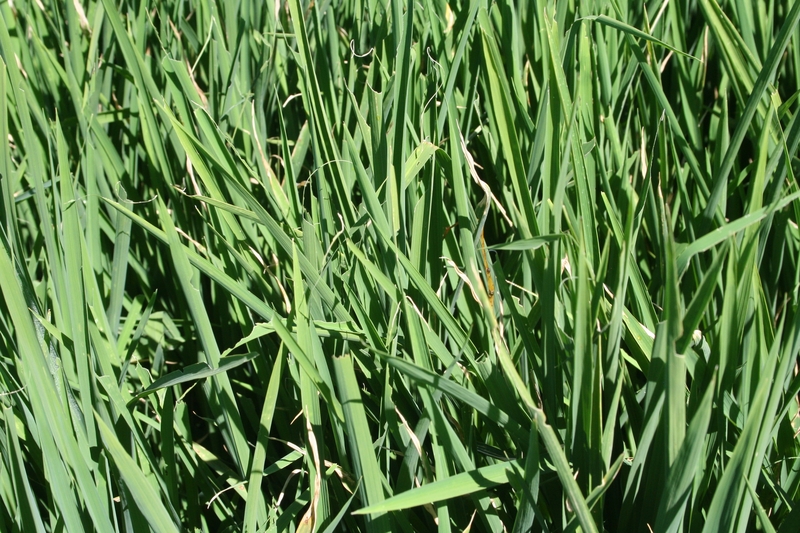 However, it is important to keep scouting because there are still small worms that will continue to develop and can potentially cause more defoliation. Intrepid is not available for use yet. Hopefully we will be hearing from EPA and DPR soon. I also noticed a heavy infestation of caterpillars on the cattails. I don't know what these caterpillars are, but they are not armyworms. 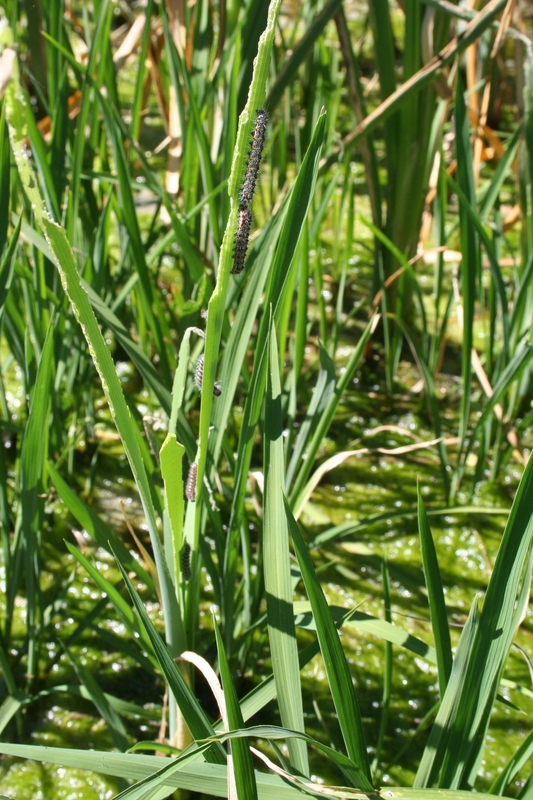 The cattails were heavily damaged, but not the rice. 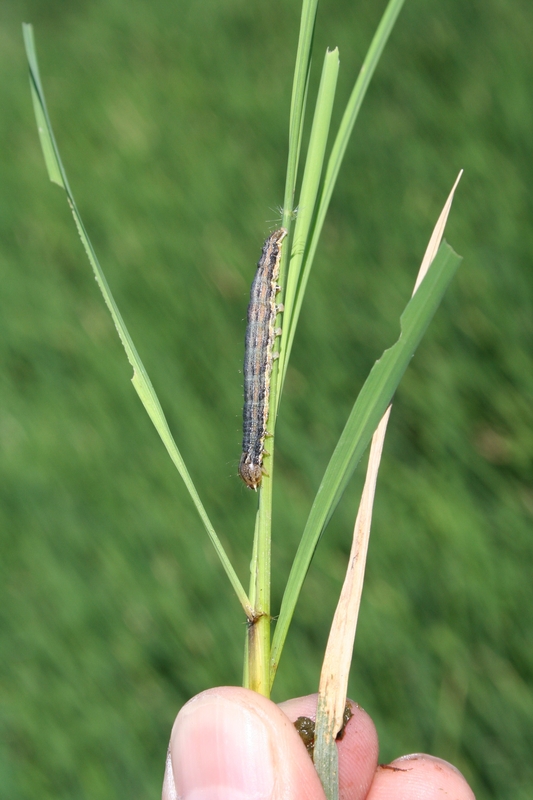 There were several of these caterpillars resting on rice, but they were causing very little defoliation. 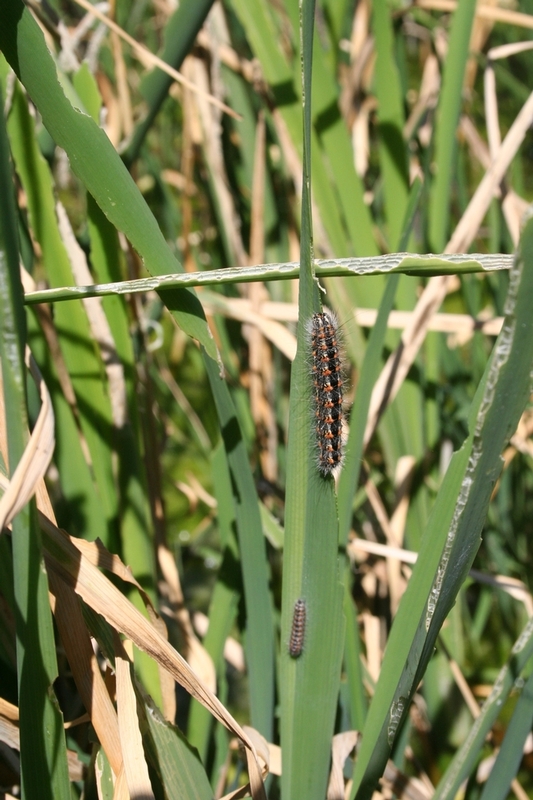 I suspect these are Simyra insularis, the cattail caterpillar (very appropriate name).